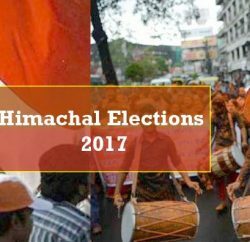 With the trumpet for the HP state assembly election blown, the counter arguments on development and other important issues have started heating up so much so that people are gradually getting an insight into what is the real thing and who is actually responsible for it. 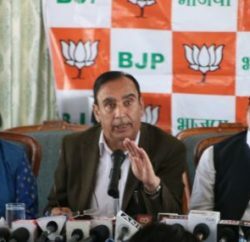 Well, we are here to give you a deep insight as to what currently goes on in the political arena where some of the most reputed members of two big political parties of the state – Congress and BJP – are ready to flex their muscles. This time the area of concern is Jubbal-Kotkhai which was the stronghold of congress since late Ram Lal (the fourth chief minister of the sate) jumped into the political fray back in 1957. Since then, he won the seat in 1962, 1967, 1977, 1980 and 1982. After his death in 2002, the election was fought and won by his grandson Rohit Thakur in 2003. However, in 2007 the seat fell to BJP camp and Narinder Bragta came out as victorious. This time again, sitting BJP MLA and Horticulture Minister, Narinder Bragta and Rohit Thakur from Congress are face to face in a pursuit to win people’s confidence. 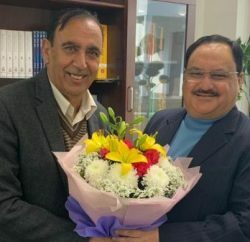 Whereas Narinder Bragta will leave no stone unturned to hold the seat for the second consecutive time, Rohit Thakur won’t even let it go too easily. As the BJP candidate pitches for development carried out by the ruling party in the region, Rohit Thakur comes up with something substantial by raising the issues of dilapidated; miserable would be a better explanation, of Theog-Hatkoti road. We all know that roads are the lifelines of any region, state or for that matter, of a country. The site/condition of roads is worth a thousand words for development or mismanagement, which in the present scenario shows how much of development has actually been carried out. 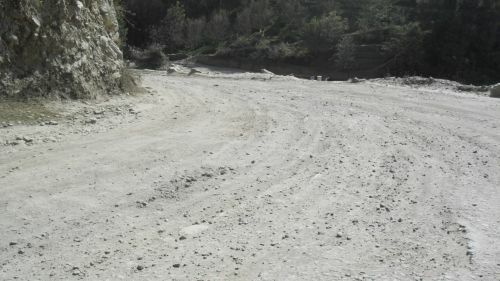 The mismanagement and poor handling of the connecting roads and Theog-Hatkoti road in particular is evident from the fact that the condition of the road wasn’t improved even when the development work was funded by the World Bank. The contract for road was awarded to a Chinese company, in an open bid, but of no avail. The work wasn’t completed within the stipulated time period, thus hampering the free flow of traffic scores of times in the apple seasons for the last four years. It resulted not only in the destruction of apple crop worth crores of rupees in 2010 alone but in many accidents that took lives of many regular commuters as well as loss of machinery/trucks during the apple season. However, now Chinese Company has been dumped by the current ruling party. The crux of the story is poor roads indicate poor development and we hope many farmers of the region and common populace in general will rhyme on the same. The fact remains that roads are in poor conditions and now the question arises why? Who are responsible for it? What steps were carried out, if any, to smooth the free flow of traffic throughout the year and in apple season in particular? There also remains big difference between what is claimed and ground reality and the development claims are actually undone by the poor road condition which is one of the major resentments of the apple growers of the area. People still await the apt solution of the problem and it remains to be seen who they give the responsibility on 4th November to better them in near future. Theog – hatkoti is a only way left in H. P which is still messed up. No matter if you visit other parts of H.P (lower – Uppar Himachal) you’ll find them 100 times better than that of Theog- Hatkoti. I dont know when will our Government and specially Mr. Narinder Bragta will start working for the progress of Theog – Rohru road as they should know that maximum of quality Apples are produced from these areas and with that maximum of votes for these baseless politicians are voted from here. One should make them understand that they are not been appointed to make progress in there bank accounts but certainly people have trusted them for the progress of our State. We feel so ashamed that we voted and trusted these mean and liers who are only concerned about there benefits.